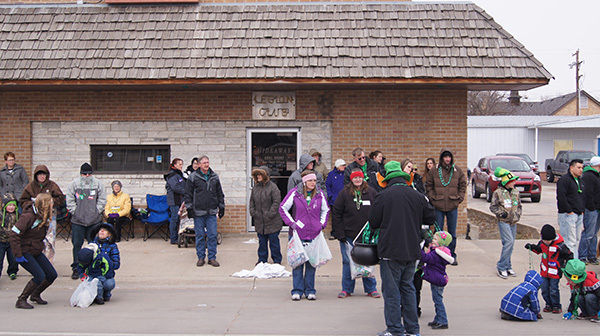 TCB Atkinson hosted a "Super Hero" water station during the Festival of Races on May 24th, 2014. 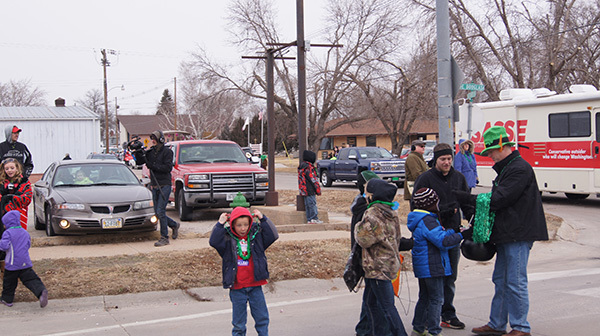 The event was sponsored by West Holt Medical Services Foundation. Vickie Seger and Jennifer Schmaderer teaching the ABA's banking program Teach Your Children to Save program to our local schools in Stuart, Atkinson & Bassett. 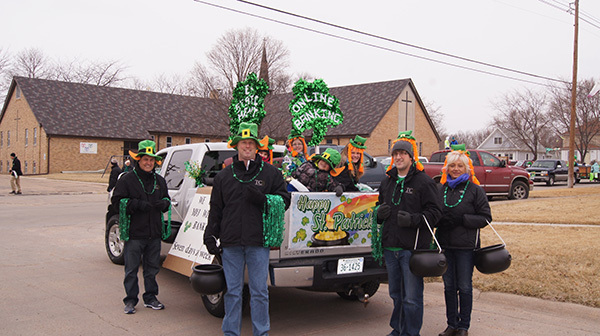 TCB employees handing out candy and beads during the St. Patrick's Day parade in O'Neill, Nebraska March 22, 2014. TCB donated funds to the Stuart Community Foundation Fund to help build the new Stuart Public School weight room. 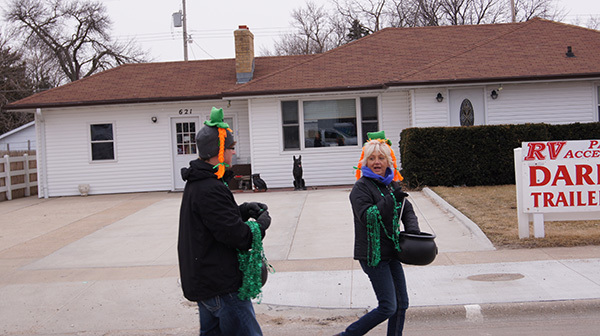 Community volunteers came out on a cold, blustery March day to begin work on the project.